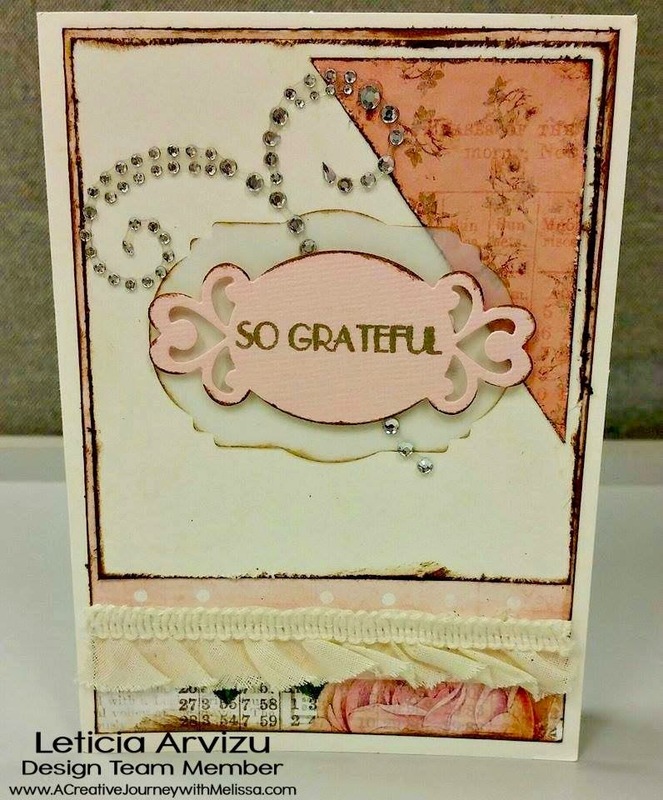 Welcome to the monthly NEW RELEASES for A Creative Journey with Melissa. Normally, we have a new release EVERY second Wednesday of the month. However, in January, we will be going to the Craft and Hobby Association (CHA) Convention. So, we will NOT have a new stamp release in January. The CHA Convention is located in Anaheim, California and super close to Disneyland. We are looking forward to learning some great new things! One of the BEST things about this convention is you get to see the latest and greatest of the Craft and Hobby Industry. We are shown BEFORE they are released to the public! Instead of new stamp releases, we will be showing you the latest products BEFORE they are released to the public. It is an amazing show and we hope you will join us in our adventure. If you are creative, you are going to LOVE IT! It will feel like you are right there with us! To check out pictures from last year, go to our facebook photo album. You will see some AMAZING THINGS. We can't wait to share them with you! If you are interested in finding out if you qualify to be a CHA member visit Craft and Hobby Association. I am a Design Team member for A Creative Journey with Melissa. 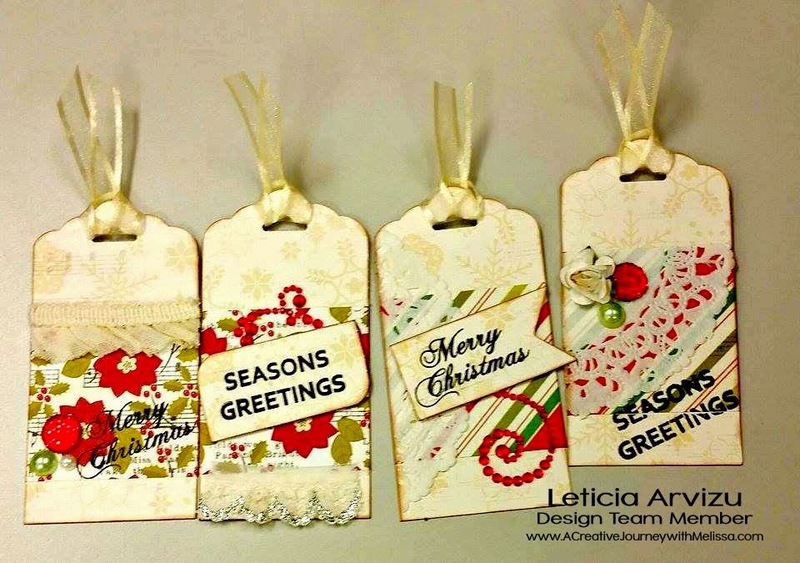 I am thrilled to be able to share these creations with you today! The new stamp releases are the Sentiments for all Occasions and the Sign Language Numbers - American Sign Language stamp sets. We are also highlighting our amazingly cute and versatile Everyday Alphabet Outline Upper and Lower Case and Everyday Alphabet Outline Numbers and Symbols stamp sets throughout this hop as well. I am highlighting the Everyday Alphabet Outline Upper and Lower Case and Everyday Alphabet Outline Numbers and Symbols stamp set for this blog hop. Here are the projects I have created! 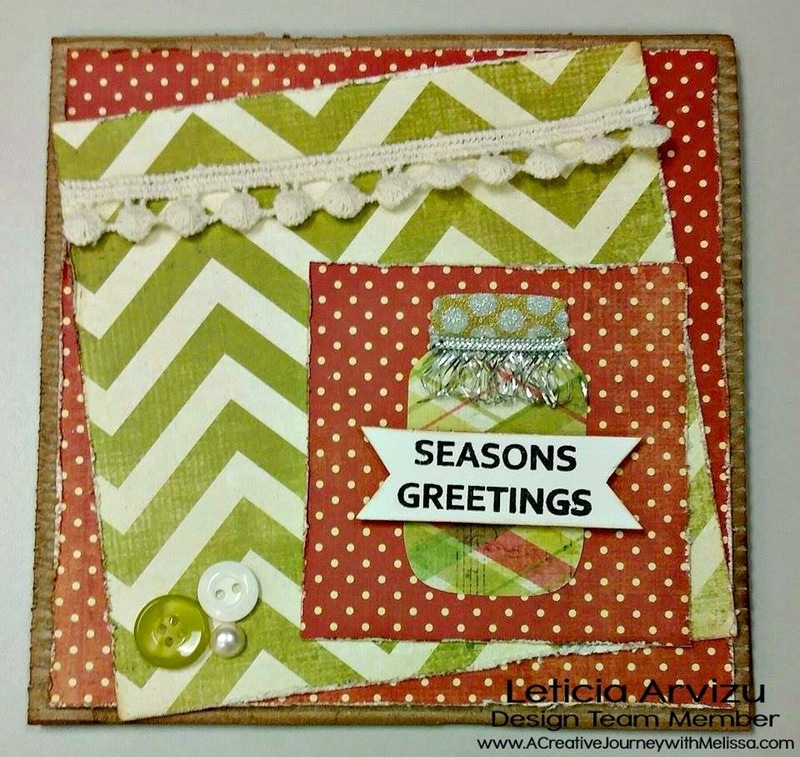 Please be sure to hop along to each of the Design Team Member's blog, become a follower of their blog (if you aren’t already), and answer the question correctly that they have posted to qualify for the giveaway. 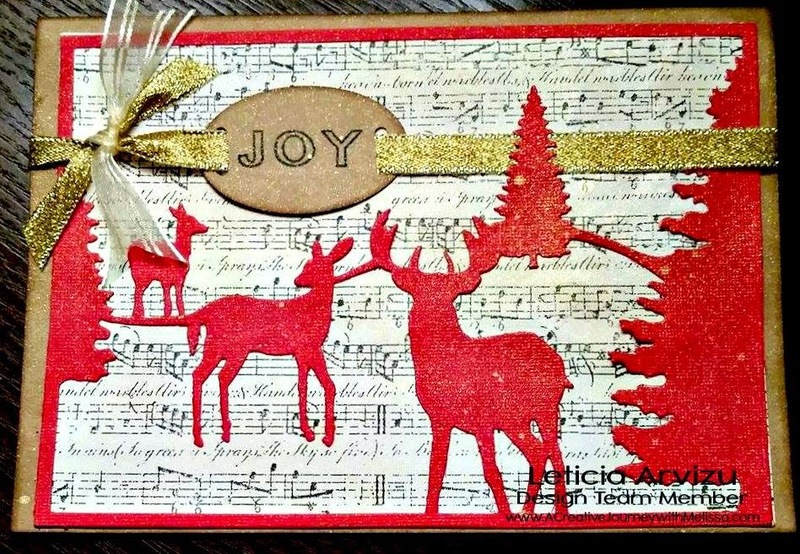 My question is: Do you make your own Christmas cards to send out to family & friends? 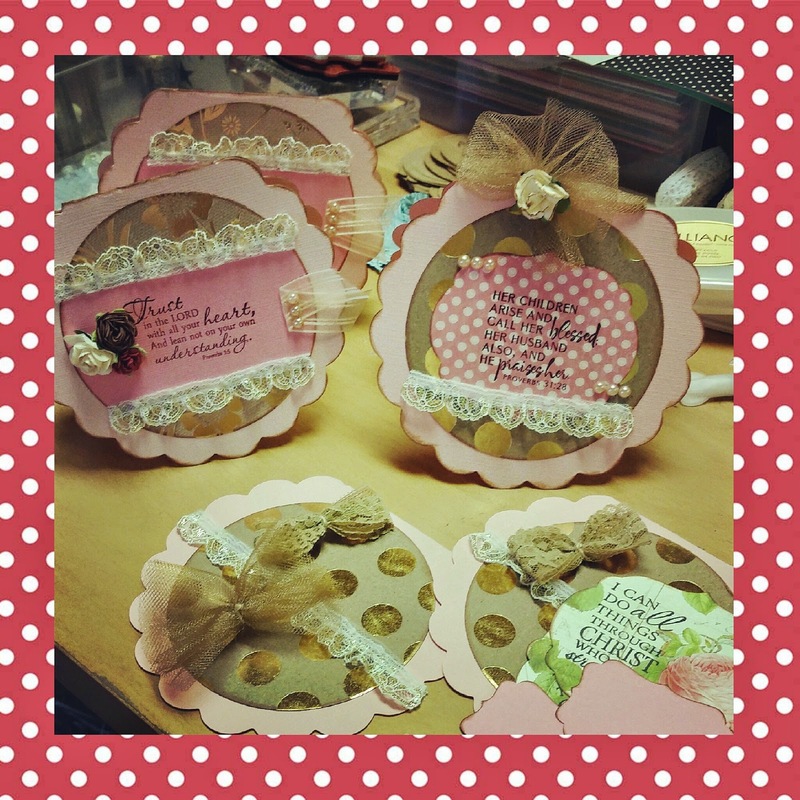 I personally love to create for other's for gift giving during this time! Please be sure to answer every question asked of you correctly on each blog and become a follower if you aren’t already! If you qualify, you will be entered in the giveaway for the three prizes! 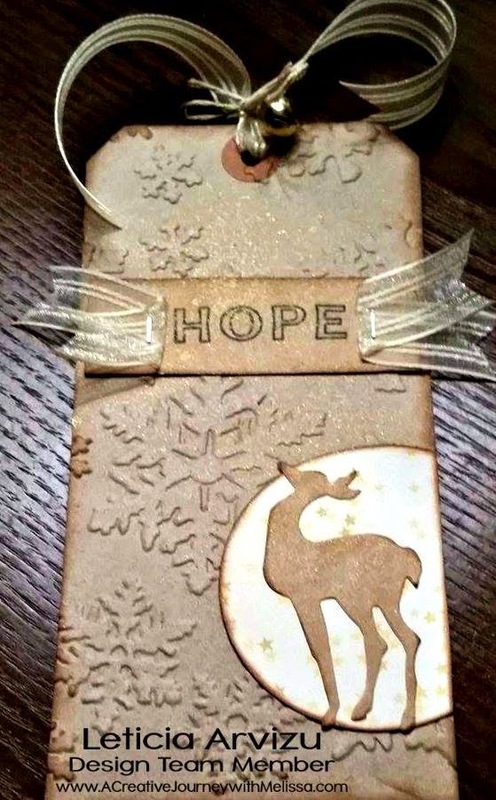 You must contact Melissa with your shipping information via Facebook PM, comment on her blog or e-mail her within 3 days of the winning announcement blog post or your prize will be forfeited. Every SECOND WEDNESDAY of the month we will be featuring our newly released stamp sets. I am a Design Team member for A Creative Journey with Melissa. I am so excited to be able to share these creations with you today! The new stamp releases are: Fall and Winter Holiday Sentiments and Celebrate Judaism. We are also highlighting our amazingly cute and versatile Everyday Alphabet and Everyday Alphabet Outline stamp sets throughout this hop as well. 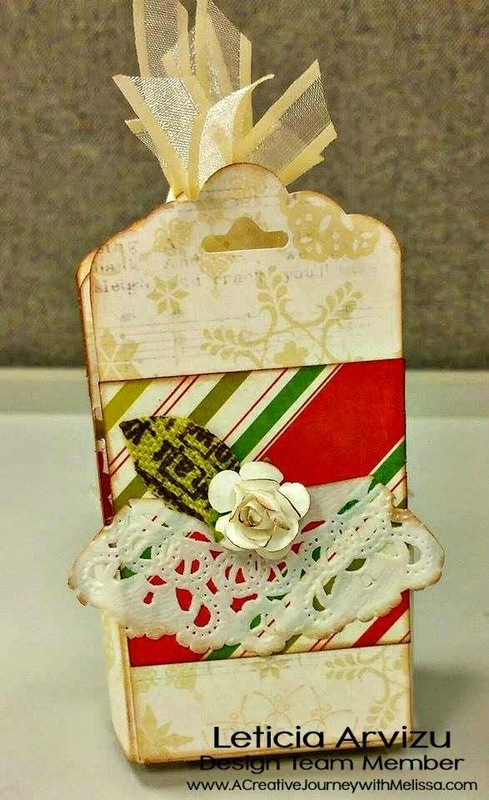 I am highlighting the Fall and Winter Holiday Sentiments stamp set for this blog hop. Please be sure to hop along to each Design Team Member's blog, become a follower to their blog and answer the question correctly that they have posted to qualify to win the prizes. My question is: What are the two newly released stamp sets? Please be sure to answer the question asked of you correctly on every blog. Also, follow each blog. You will be entered in the giveaway for the three prizes if you do so! Entries for this blog hop will end Friday at 8 PM PT. 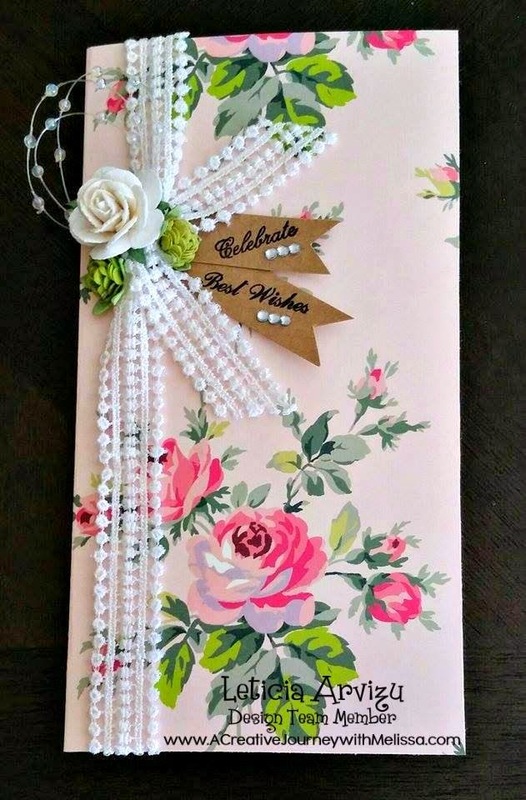 Winners will be announced on Saturday on the A Creative Journey with Melissa's blog here http://acreativejourneywithmelissa.com/blog/september-release-blog-hop-winners/ Be sure to check back to see if you are a winner! I am so excited to be able to share these creations with you today. 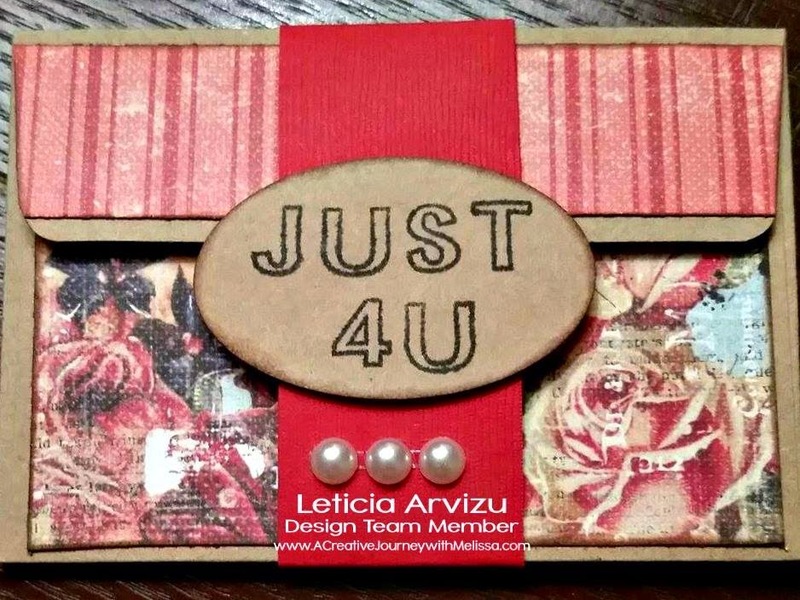 I am a design team member for A Creative Journey with Melissa. 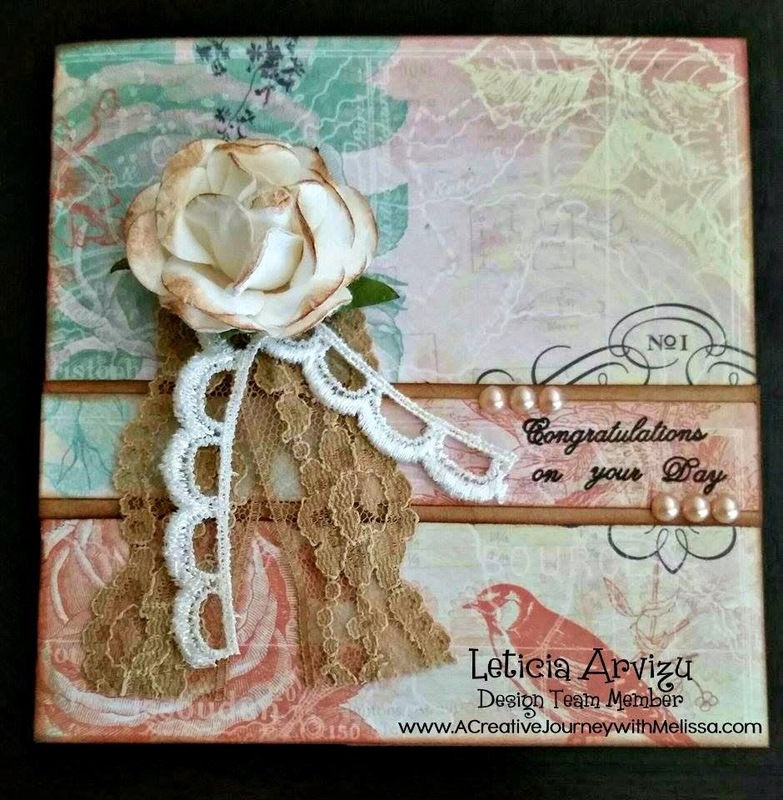 I am highlighting the Wedding and Celebrations stamp set for this blog hop. Please be sure to hop along to each participant and answer the question correctly that they have posted for this hop. If you do, you will be entered to win 1 of 5 prizes. You can win either the Tie Dye and Splatter stamp set, the complete 2 piece set of the Everyday Alphabet stamp set, the complete 2 piece set of the Everyday Outline Alphabet stamp set or 1 of 2 adhesive packages from Scrapbook Adhesives! My question is: Which stamp set was created to honor Melissa's Uncle Herb? Thank you for visiting and please be sure to hop along to all of our other amazingly talented design team members and comment on each blog answering their question correctly. Contest ends Friday at 8 p.m. Pacific Standard Time. 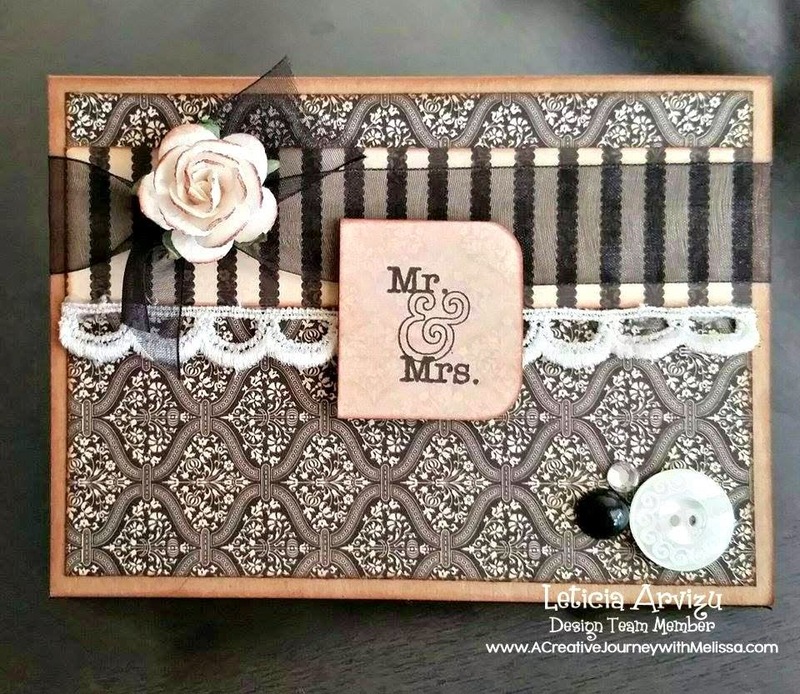 Winners will be announced at noon on http://acreativejourneywithmelissa.blogspot.com/2014/07/blog-hop-winner.html on Saturday. I've neglected my blog for a while now. But, I am back! I am excited to share with you all my latest and greatest crafty adventures... Let me start with sharing how I celebrated my birthday last month! 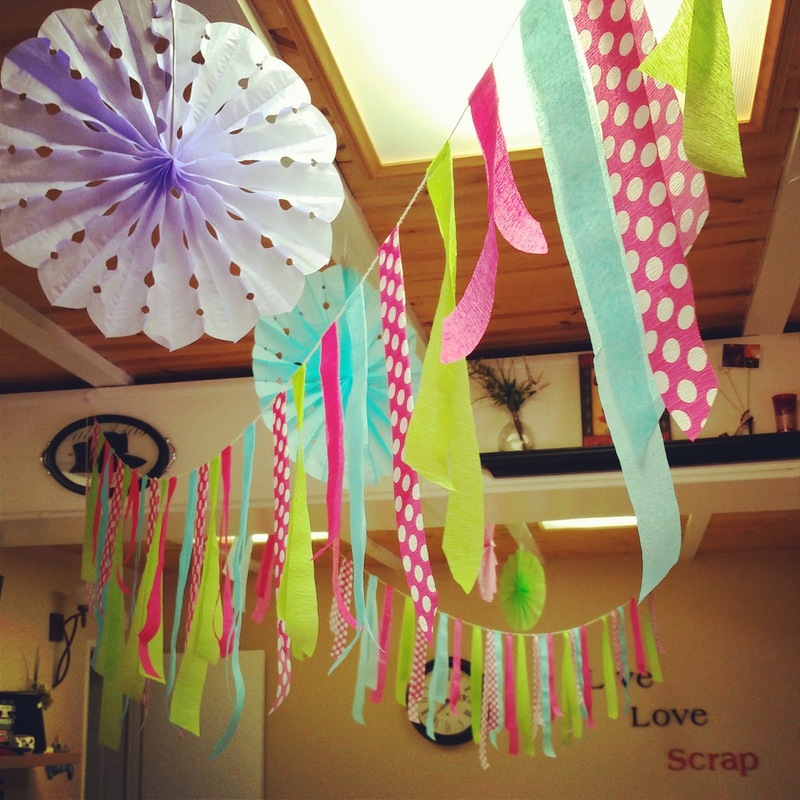 So I decided I wanted to do a craft retreat with a few of my crafty friends for my birthday... I wanted it to be fun, but most of all I also wanted to celebrate a few of my crafty friends' birthdays which were very close to mine. So we rented thee most awesome cabin in Lake Arrowhead, Ca - The Scrappin' Shack. It is set up specifically for cropping. There are 8 tables set up in the crop room. Besides having a great set up to craft in, the house is so cozy and comfortable! We rented the cabin from Thursday June 5, 2014 through Sunday, June 8, 2014. First thing I did upon arriving is decorate! I wanted the mood to be festive and fun! I strung streamers and hung tissue paper fans. We had a great time! We all brought different projects to share and gifts for each other. It was so much fun to create the projects that we brought for each other. The gifts were great! I felt so spoiled for the weekend! It was a great time spent with awesome friends! We ventured out for an early dinner on Saturday. We ended up at Papagayo's in Lake Arrowhead Village. It was yummy to say the least! That evening, we celebrated with birthday cupcakes and ice cream sundaes! My creative goal that weekend was to be productive in making some cards. I finished almost 20! So in my eyes, it was a success! In between all the crafting, we sipped on wine and raflled off prizes. 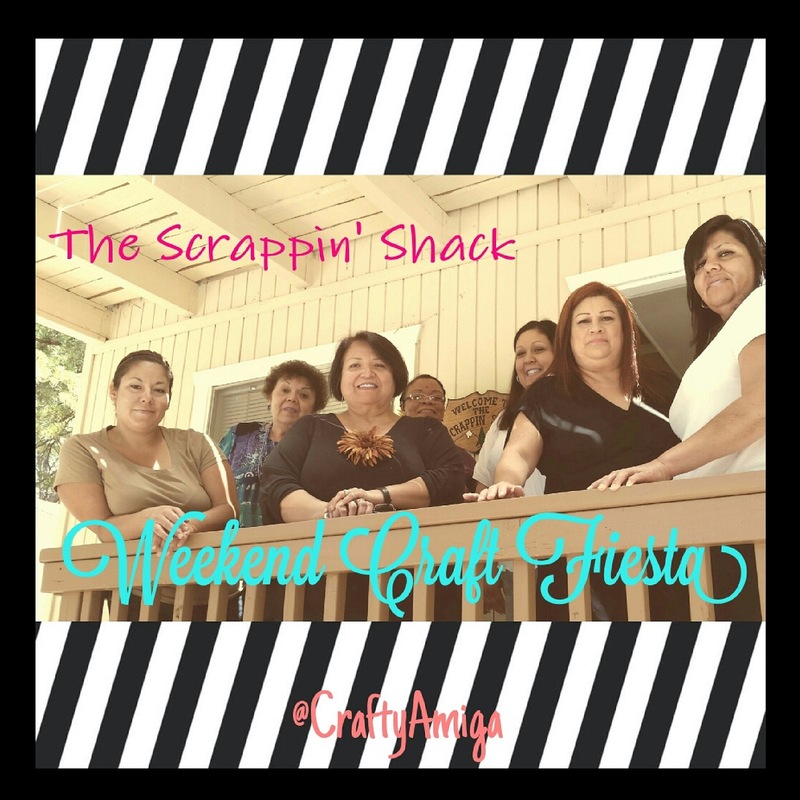 We had such a good time that I am planning #WeekendCraftFiesta2 for the fall!